I have been dying to share this post because the photos are seriously so mouthwatering! First of all, Happy Friday! Second of all, can we talk about who decided to smash avocado into toast and make it a thing? Whoever that was is a genius. I am not quite sure how it was never done before because avocado = life and who doesn’t love a hot piece of sourdough toast? It’s a match made in heaven! I will forever be celebrating this unknown inventor every time I make avocado toast. 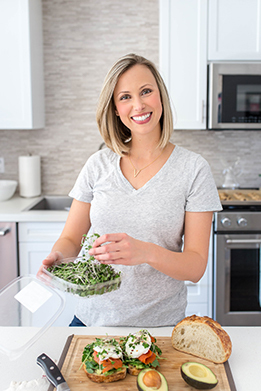 I will say I have played around with avocado toast at home (that’s just what you do as a food blogger – you get to play with food), and there are a few key ingredients that take it from good avocado toast to the best avocado toast on the planet. Let’s start with the foundation. Not all bread is created equal. I am a HUGE sourdough bread fan, not just because it is better for you (hello wild yeast! ), but because it really is bread the way God intended it. Not to get all dramatic, but it is true. Traditional sourdough is only flour, water, and salt. The result is tangy, spongy, and the perfect sturdy foundation for avocado toast. I make my own sourdough at home using a traditional fermented starter, but the farmer’s market is another great spot to find traditional sourdough. If buying it at the store, check your ingredient label. There should be NO added yeast. That’s how you spot a sourdough imposter! Next up – the toppings. You can just smash avocado into toast and call it a day. But why stop there? Now is the time to go big or go home. Arugula, smoked salmon, and a runny egg. Boom. The best avocado toast you’ve ever had. I chose arugula because it is a bitter green that aids in digestion, but also contrasts nicely with the smokiness in the salmon and the creamy avocado. When picking your salmon, always pay the few extra dollars for WILD. I can not stress this enough. Wild salmon not only has more flavor, but it is much lower in fat than farmed salmon. Furthermore, farmed salmon is full of contaminants, heavy metals, and antibiotics. Yuck. Do your tastebuds and body a favor and stick to wild varieties of Sockeye or King. I love to season my avocado toast with a pinch of red pepper flakes and a drizzle of high quality olive oil. A pinch of micro greens on top is a nice pop of color, but they also add a good dose of nutrients, so I try to incorporate them whenever I can. And there you have it! The best avocado toast on the planet, and guess what? You didn’t pay $15 for it out at a restaurant. You made it at home with high-quality ingredients you trust and know. Easy avocado toast at home with wild smoked salmon, arugula, and a perfectly poached egg, with just a pinch of red pepper flakes. Spray a small 8-in skillet with cooking spray, or rub with oil. Add ½ cup water. Heat over medium-high heat, and watch for the water to start bubbling (not boiling). While waiting for the water to heat, start your toast. Crack the eggs one at a time into the water. Turn the heat to low, and cover. Cook eggs for 3-4 minutes, or until desired doneness. While the eggs are cooking, begin assembling your avocado toast. 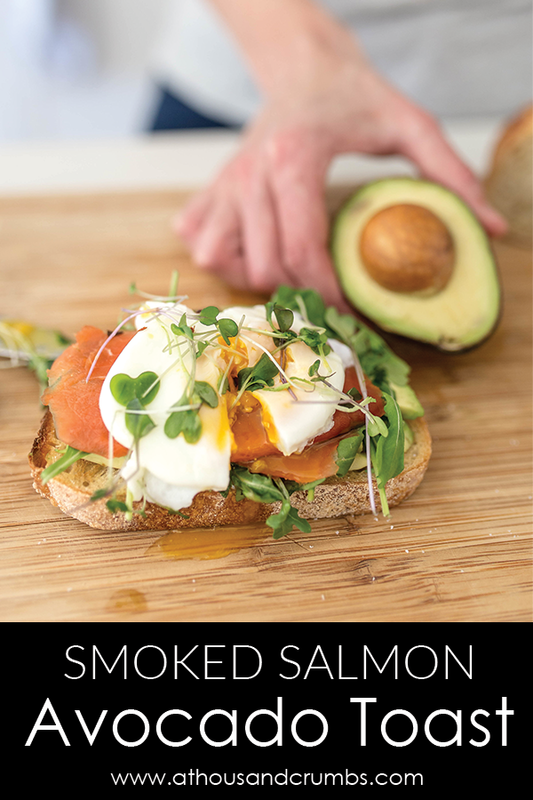 Start with a layer of avocado, then a layer of arugula, followed by the smoked salmon. Carefully remove the eggs from the fry pan without breaking the yolks, and drain any excess water. Slide the eggs on top of the salmon. Drizzle with olive oil, and top with a sprinkle of red pepper flakes and micro greens, if desired.